“Work is under way on the new Masama coal mine, which Botswana Stock Exchange-listed Minergy expects to commission in January, ahead of its primary listing on London’s Alternative Investment Market (Aim) in the first half of next year. The 390-million-tonne Masama, located in the Mmamabula coalfield, 50 km north of the capital city Gabarone, has the potential to produce 2.4-million tonnes a year of thermal coal as Botswana’s only opencast low-strip mine. The first saleable product is scheduled to be available from February 2019 for export to South Africa and mainly Asian markets. The Mmamabula coalfield is considered to be a western extension of the Waterberg coalfield in the Ellisras basin in South Africa. “We’re are now able to break ground and invite contractors to start work immediately,” Minergy CEO Andre Bojé said in a release to Creamer Media’s Mining Weekly Online. The 33% increase in the thermal coal price over the past 18 months has made the mineral one of the world’s five highest-performing commodities at a time when Botswana and Minergy have an opportunity to respond to Africa’s increasing demand for coal; the four-million tonnes exported from South Africa to the African continent in 2016 is forecast to grow to 38-million tonnes by 2030. Masama is close to existing rail, road and water infrastructure, with distance advantages over competing suppliers to regional customers, and arising at a time when Transnet Freight Rail sees Botswana as a potential provider of additional rail traffic on its coal line. “Investors looking to invest in coal have lots of opportunity now. The price of coal is rising, there is a deficit in supply and a strong demand, especially in the developing world, which is driving up the prices and keeping them high. In my experience, there’s never been a better time to invest in coal,” said Boje. Minergy, which has raised an additional P26.9-million capital to meet its commitments, is engaging with local communities on job creation and upliftment programmes, including improving the school and the clinic at the Medie village, as well as bringing in electricity. The mining contract has been awarded to Jarcon, a joint venture between South African company IPP and Botswana company Giant Plant, and the build-own-operate-transfer contract for the washing plant to Pentalin Processing. Contracts for the provision of site and bush clearing, civil works, power reticulation, water and waste management, road construction and weighbridges are in various stages of appointment. Given the impending Aim listing, the granting of the mining licence to Minergy by the Botswana government further reduces the risk for any potential investors and underpins the investment case. 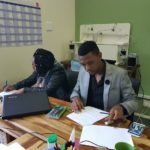 With the first phase of the development fully funded, the company could come to the market for its expansion. Despite the global move away from using fossil fuels for energy in favour of cleaner sources, coal remains the world’s second most used fuel after oil, with many developing countries locked into its use. 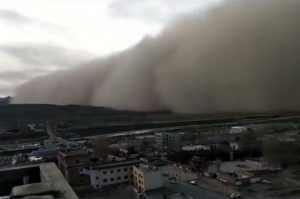 “A sandstorm hit Zhangye, Northwest China’s Gansu province, on Sunday, carrying strong winds. Mining safety is of paramount impotrant. Have a look at this article regarding emergency medical equipment. “Mining across the globe is under close scrutiny with regards to standards of safety. This has never been brought more under the spotlight than with the “2010 Chilean Mining Accident”. This well documented rescue effort highlighted the importance of cooperation between government, mining authorities, and medical response and rescue teams. Most important in any mining operation is the protection of human life. It is however also not disputed that lives lost has a significant impact on the financial sustainability of a mine and even the ability to continue with mining operations. This is why emergency medical response is such an important component in mining safety. Even with the best training and safety standards in place mining accidents will still occur. Underground tremors and other forces of nature can be devastating for those working 4,000m below ground. In the unfortunate event of these and other accidents it is of the utmost importance that miners will be able to receive the best possible treatment in the golden hour after the accident. On the Mining Safety website we have also shared information on Emergency Medical Response and Mining Safety and would like to add to this discussion by sharing some information on the equipment required by paramedics for emergency medical response at our mines. We decided to raise a few questions with ER24, one of the most professional emergency medical response providers assisting mines across Africa in Botswana, Zambia, South Africa, Mozambique, Tanzania, Democratic Republic Congo and Liberia. We wanted to focus on the analysis of emergency medical equipment required by the paramedics and the importance of these equiptment. When ER24 is involved in the analysis of emergency medical response requirements at the Mines – does this also include deciding on the equipment required? It is extremely important to analyse which equipment will be required on a specific site. Certain sites require paramedics to assist underground where others might only have a requirement towards a primary health care clinic. 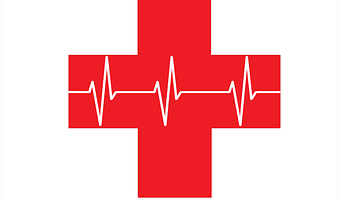 Once a risk assessment is completed for the client, the Site Based Medical Services Manager – a Medical Doctor, will propose certain equipment in order to assist with emergency fast and efficiently. In certain cases the client provides the equipment on site. Should this be the case, the Site Based Team will evaluate the equipment to ensure that it is usable and in good order. Who is responsible for the providing or availability of equipment? Does ER24 provide the equipment or does the mine have to provide for this? As mentioned above, some clients prefer to supply their own equipment. However, ER24 also provides equipment related to the client’s needs. We have accredited suppliers that supply us with approved quality equipment. It is also important to understand which equipment will be used in order to ensure that the paramedic on site is trained in the specific item. Does this requirement of the equipment required differ from mine to mine? Yes, it depends on what type of mine it is. Certain mines may require the paramedics to be part of their proto team or have full control over the proto team. It also depends on the location of the mine and how soon the patient can be evacuated from the site. Should there be a significant time delay before a patient can be evacuated; the paramedics will require extra equipment to assist with the patient’s basic life functions. Does the nature of the mining activity – open pit, underground etc play a meaningful role in the decision of which equipment is required? 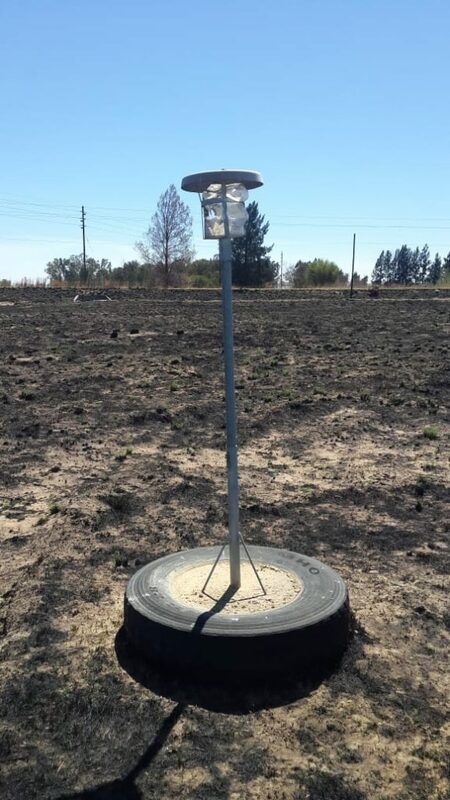 In most circumstances equipment are standard, but extra equipment based on the risk analysis might be required. The equipment will also be adjusted depending on the role the paramedic needs to play on the site. Will the location of a mine and especially the distance from the nearest hospital play a role in the equipment needed on site? As mentioned above the distance plays a big role in evacuating a patient as soon as possible. For example in a situation where a local ER24 ambulance can on site within a few minutes the patient can be evacuated to an appropriate facility without necessarily invasive equipment. However, in certain areas where a patient needs to be evacuated with fixed wing or rotor wing, the paramedic might require ventilators as well as infusion pumps etc, until the medevac arrives. What are the most important emergency medical equipment needed – if you could list approximately the 10 most important pieces/ types of equipment…? The basic life support equipment are always the first prize as this saves lives. The paramedic needs equipment that can assist the patient in airway and breathing such as, oxygen, disposable oxygen masks, ventilators, endotracheal tubes, etc. Circulation must also be maintained and a paramedic requires disposable stock to stop bleeding, CPR equipment, defibrillator, etc. For the full article, follow the link above. Here is an interesting article on the controlling of dust. It is quite intensive so only a brief portion has been posted below. Please follow the link to read the full article. The solution of a dust control problem should be handled as an engineering problem. The successful solution of a dust control problem is achieved through knowledge and experience. The knowledge is not only related to the dust control methods and devices but also to the process in which the material is handled. The experience is usually gained in a specific industry in which the person is employed. For example the dust control in pharmaceutical and mining industries is a different experience. The experience may vary even between companies in the same industry. 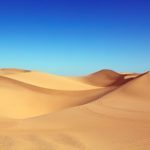 This amazing video from Time shows how NASA monitors sand blown from the Sahara Desert to the Amazon jungle. Click the link here to see the original article and to watch the video. “A NASA satellite has been monitoring the movement of sand from the Sahara Desert in Africa to the Amazon rainforest in South America. The space agency’s Cloud-Aerosol Lidar and Infrared Pathfinder Satellite Observation (CALIPSO) is tracking the massive plumes of dust particles that make the Atlantic crossing from the great African desert to the largest rainforest in the world, where the particles settle and aid plant growth. The phosphorus content of the African dust is an important nutrient in the Amazon. On average, 182 million tons of dust leave Africa each year, of which 27 million tons is deposited in the Amazon basin, according to data collected since CALIPSO launched in 2006. The amount varies each year, however. An Opportunity for students to attend a Dust fallout Training Course at no cost! Posted by admin on November 12, 2018 Comments Off on An Opportunity for students to attend a Dust fallout Training Course at no cost! Last one for 2018 Dust Watch cc is calling for students that are in their postgraduate level to attend a Dust fall out training course at no cost in Pretoria. Apart from the bucket, all was undamaged, even the fibre glass windshield!